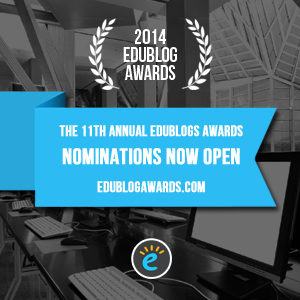 I'm delighted to have been nominated for the 11th international Edublog Awards. If you wish to nominate your favourite educational bloggers, pop over to the Edublog Awards official site to submit your votes in as many of the 19 categories as you like! You can nominate until November 24th (next week). My blog post: "10 Reasons NOT to Date a Girl Who Teaches" has been nominated in the "Most Influential Blog Post" category. If you agree with this, please give me more nominations! If not, maybe you would consider nominating me for "Best Individual Blog."